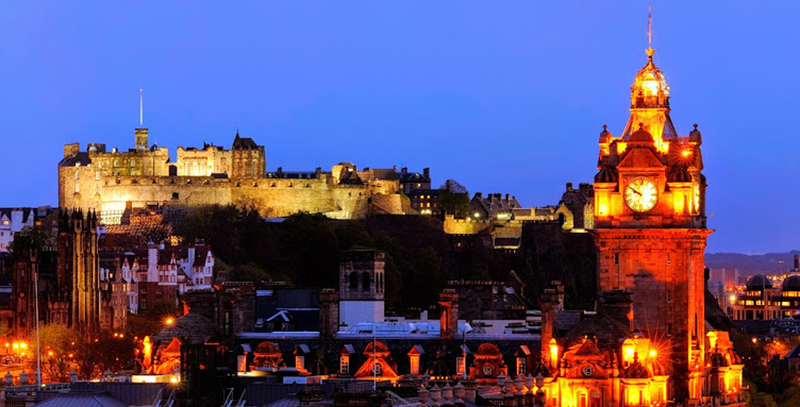 Situated in the city centre of Edinburgh, the Adam Drysdale Guest House is only minutes from Edinburgh Castle, the Edinburgh International Conference Centre (EICC), numerous theatres and the renowned Princes Street. There are numerous local shops to choose from and if the mood takes you, an abundance of pubs and restaurants to cater for every taste. The Kings Theatre is near by as well as many other leisure facilities such as Fountain Park Megaplex, which has an indoor bowling alley and cinemas. All our bedrooms are gas centrally heated and most have en-suite facilities. The guest house is strictly non-smoking and all rooms have coffee and tea making facilities, freeview television and free wi fi. We offer a full Scottish breakfast.